The 50 most recent entries. 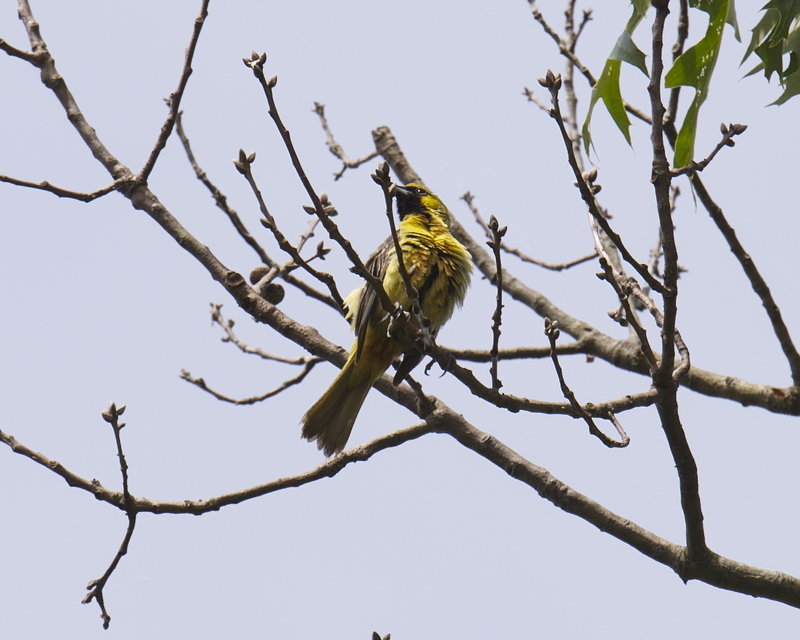 Single bird, first heard, then seen flying directly overhead several hundred feet above the ground, heading north about 11:30 am. Identified by distinctive call, uttered repeatedly, a nasal “er-er”. 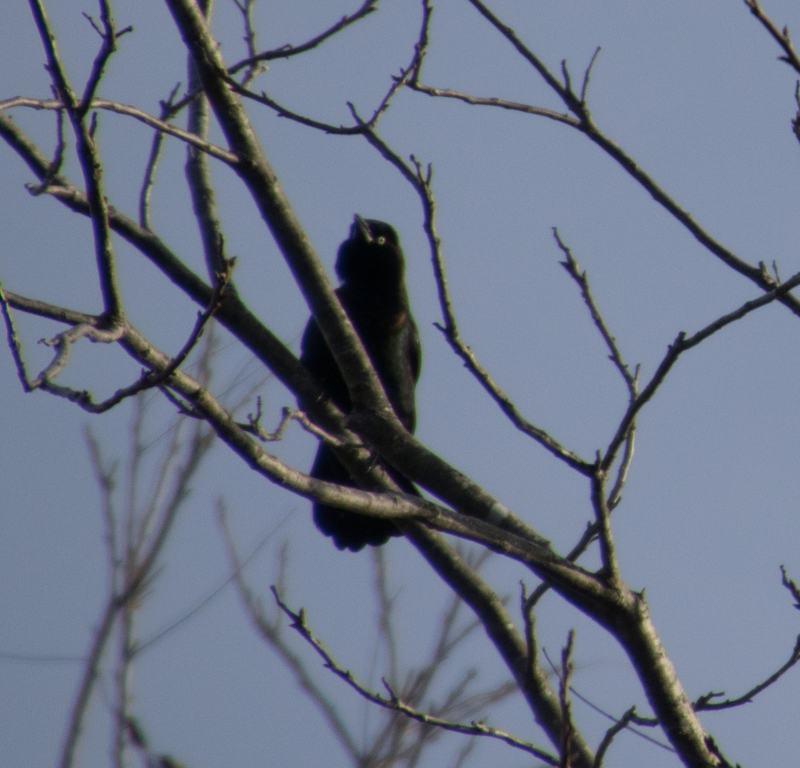 Observer very familiar with this species and American crow. 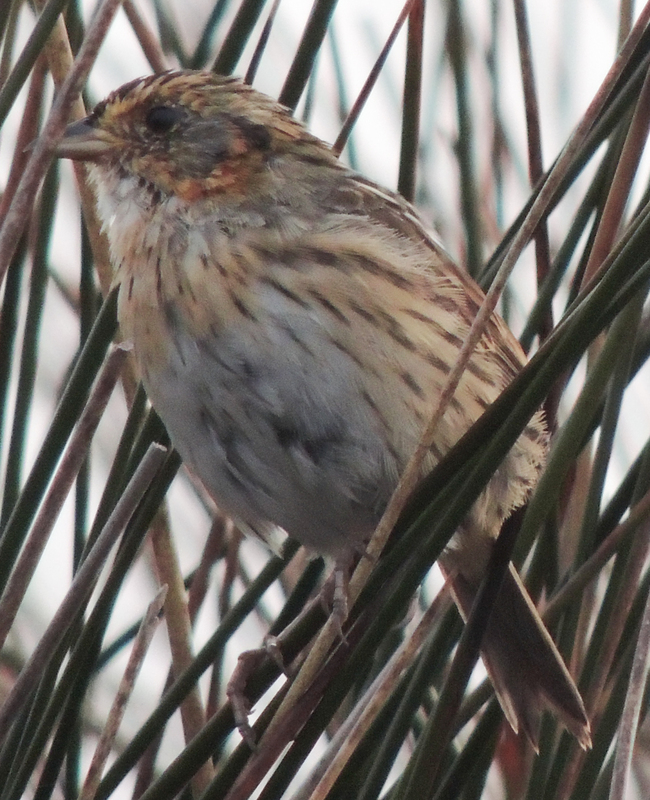 When I first observed the bird on my feeder I thought it was a female House Sparrow. 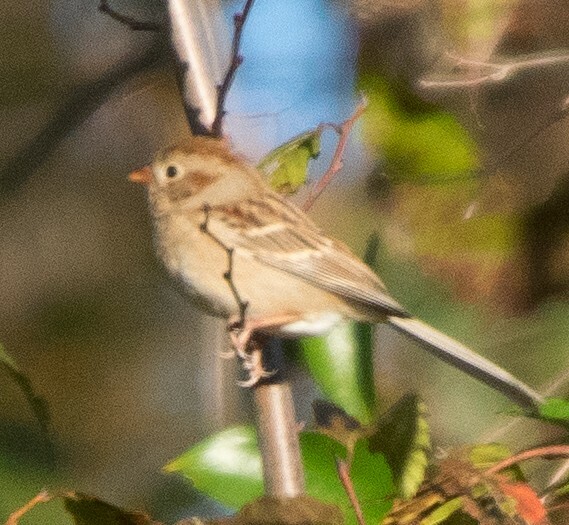 After closer observation I realized it wasn't a sparrow with the yellow and black on the chest and the chestnut on the wings. 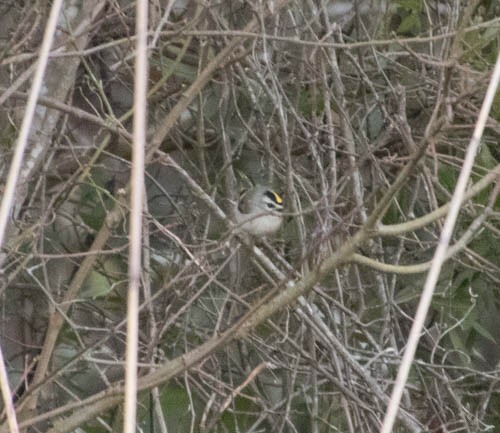 I was able to get a photo and Tim Kalbach was able to identify the bird. It's a first for me as well as Camden County. 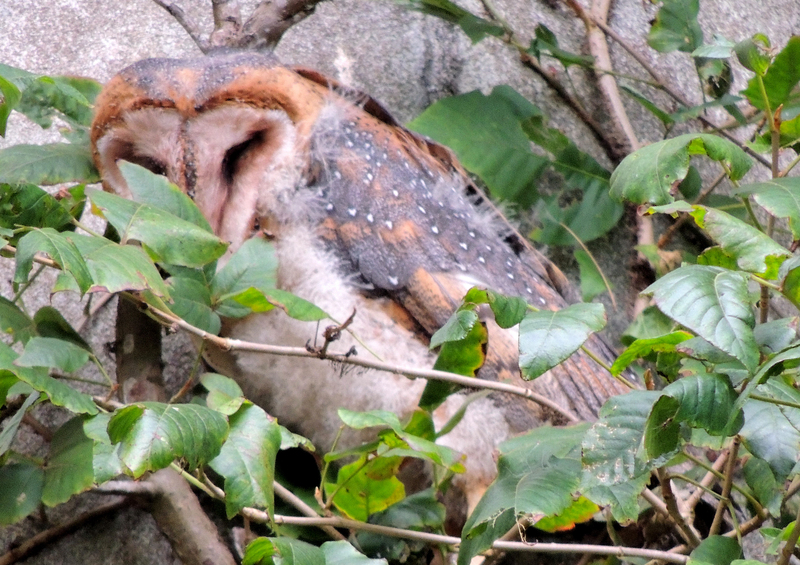 The homeowners had seen a strange bird and called me to identify the bird. 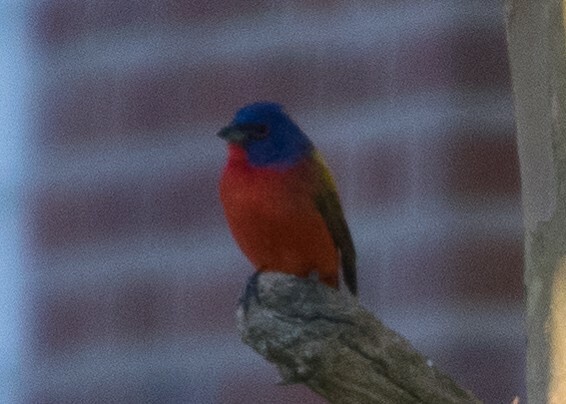 It was undoubtedly a male Painted Bunting. 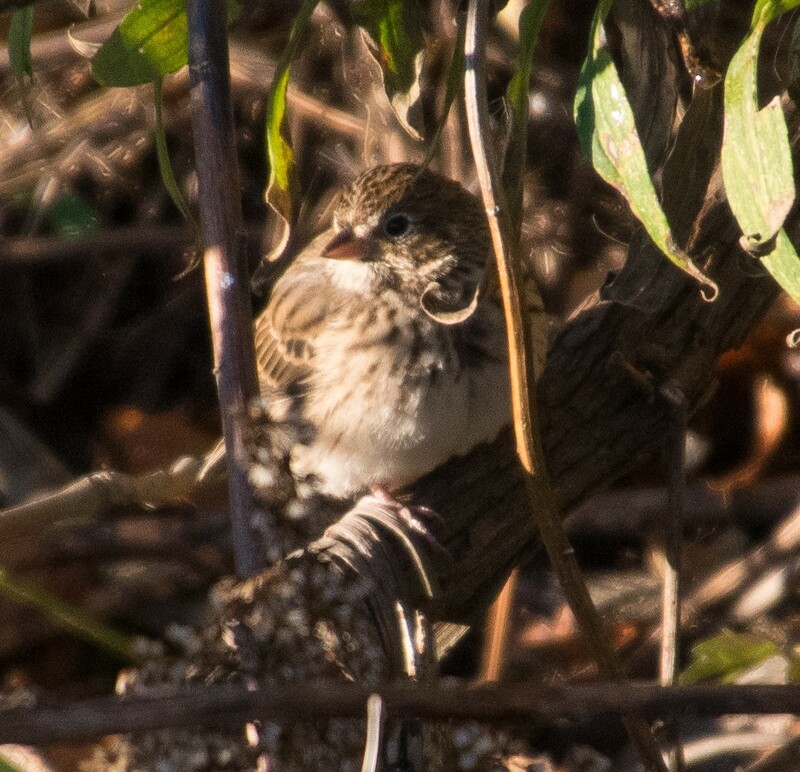 I took several photos and submitted the sighting and photos to eBird. 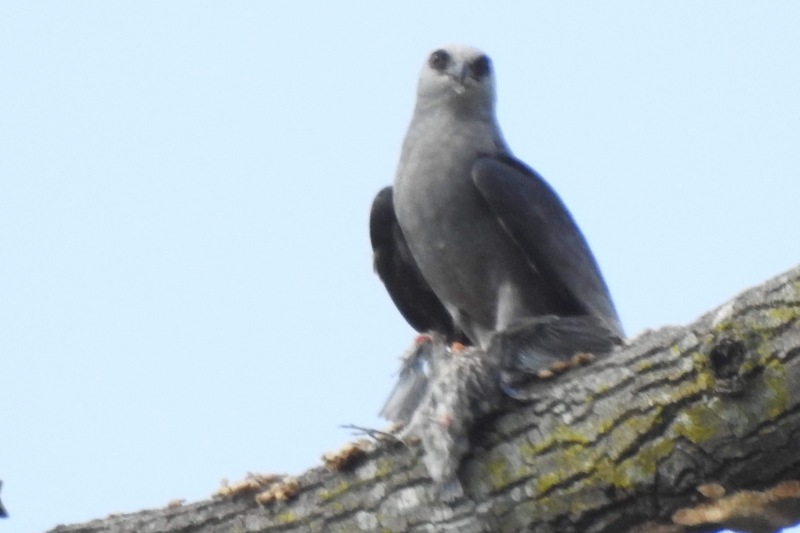 Northern Goshawk Compact stocky bulky accipiter, was in view for 40sec. approach from across a field towards us and flew directly over head. Broad wings1 wing=about the size of the body length. 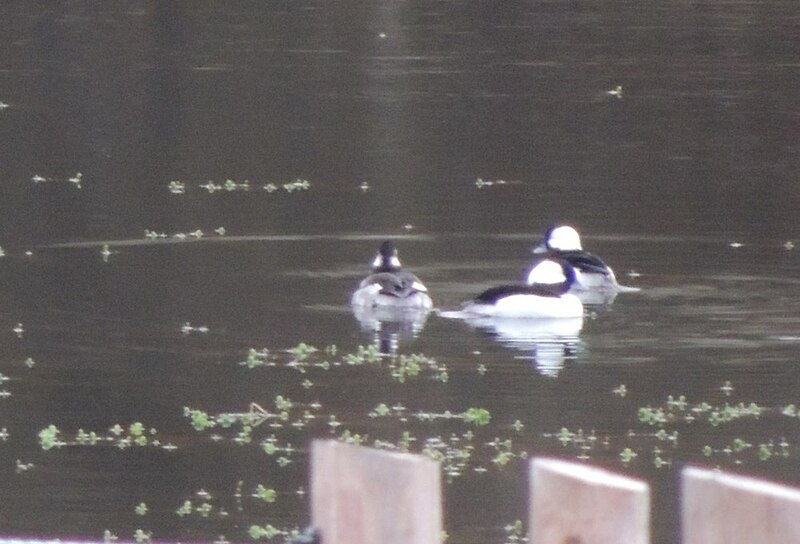 Pale gray/white checkered pattern underneath with darker gray checked pattern on wing tips. 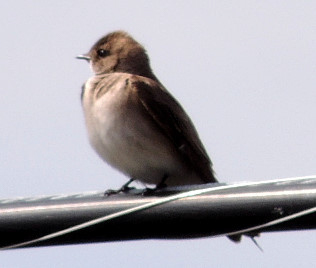 Thick necked, broad dark head, white eyebrow, straight tail appeared short due to vent feathering. 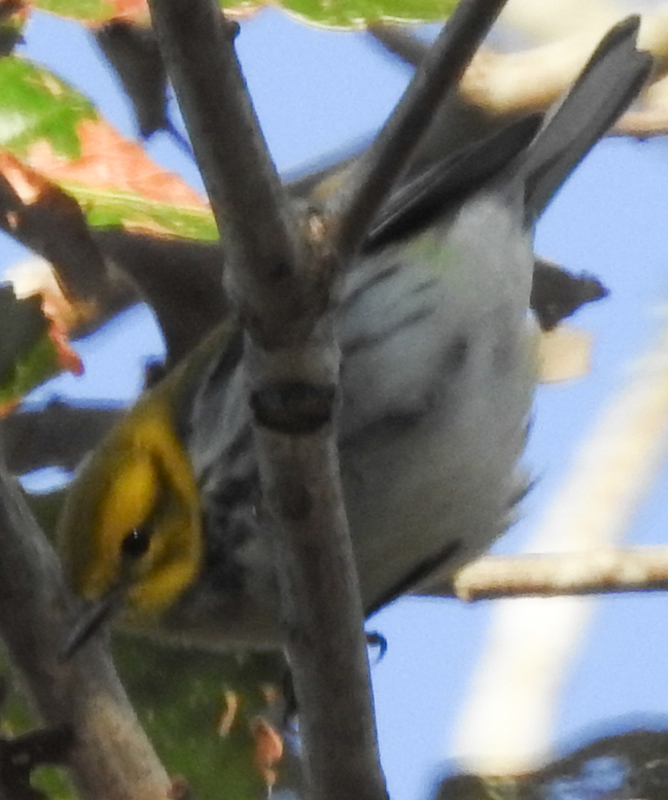 Tail closed straight and appeared squared off with white tip. Ruled out Coopers and Sharp-shinned no rust under markings. 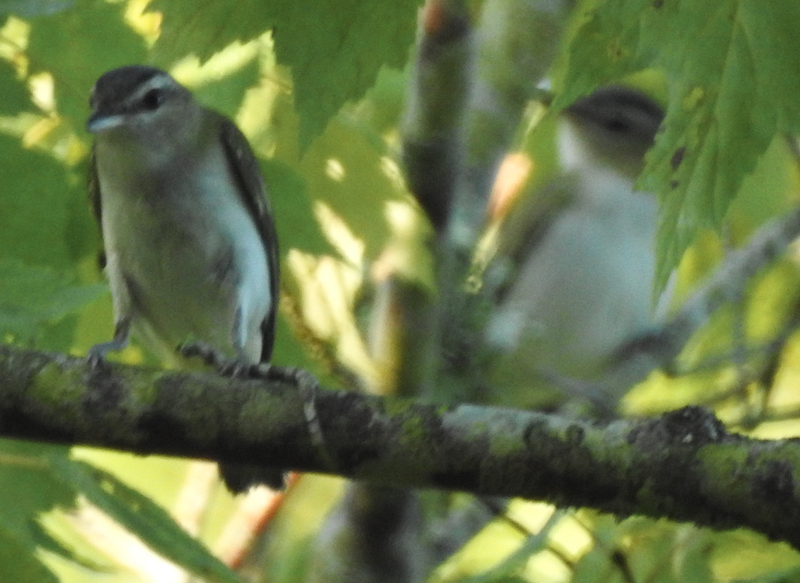 No leading edge on wings, white eyebrow missing from both, much bulkier in shape.Viewed a NOGH one other time. Familiar with Raptors common in the area which are Red-shouldered, Red-tailed, Coopers, Sharp-shinned, Northern Harrier, American Kestrel, Merlin, Bald Eagles. I see these on a regular basis, I bird this area daily. Guide Books and apps consulted- Sibley guide, Audubon and Sibley app consulted onsite. Consulted The Crossley ID guide for Raptors, discussed and question at the CBC species count down. Dunlin Buncombe Simon Thompson 3 November 2018 Warren-Wilson College farm fields First for the county as far as I know. Tahiti Petrel Dare Peter Flood, Brian Patteson et al. 29 May 2018 pelagic trip out of Hatteras Photographs and a description of the bird are found on Patteson's Seabirding website. 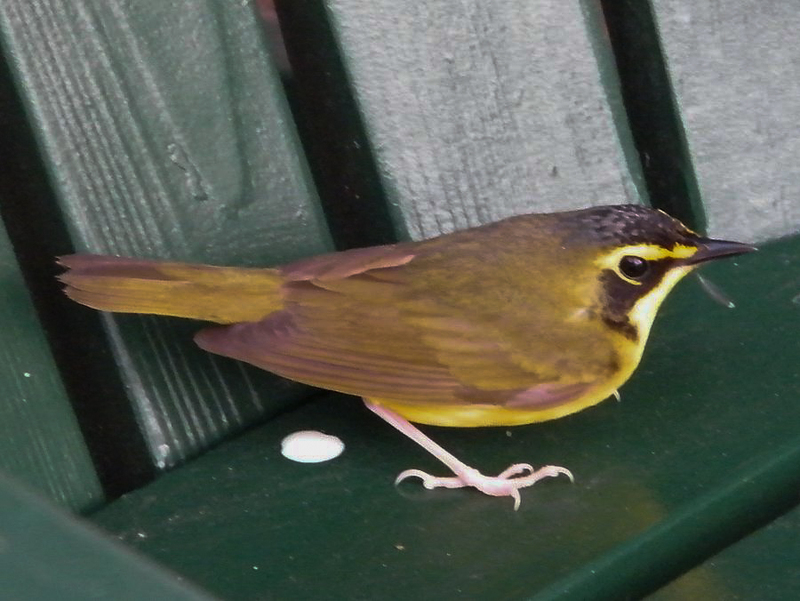 This is a first record for continental North America. 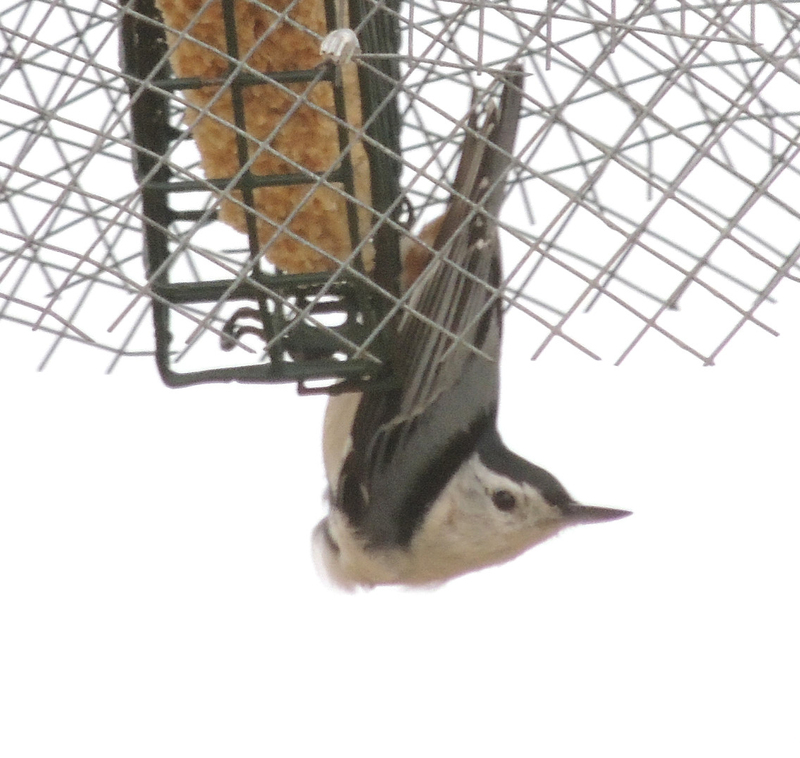 Red-breasted Nuthatch Lincoln Steve Bassett October 29, 2018 Iron Station Spotted at my black oil sunflower seed feeder. 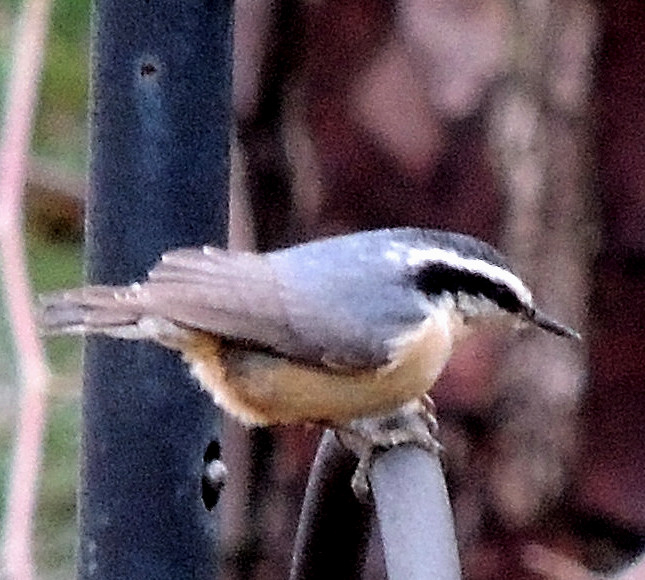 Solitary but traveling in flock of Carolina Chickadees and Tufted Titmouse. 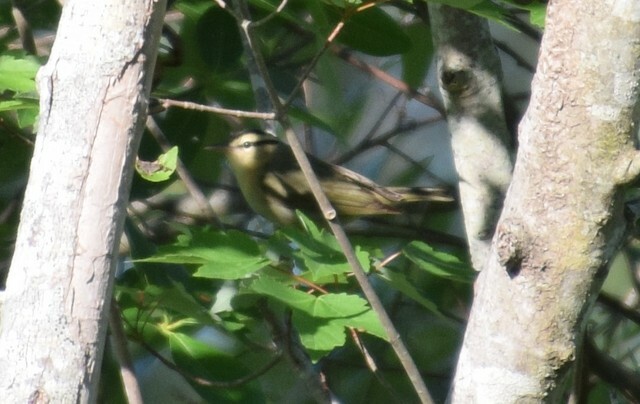 Bay-breasted Warbler Franklin Jeff Lemons 10-27-2018 Joyner Park, Louisburg, NC Feeding in trees along the river. No photo. 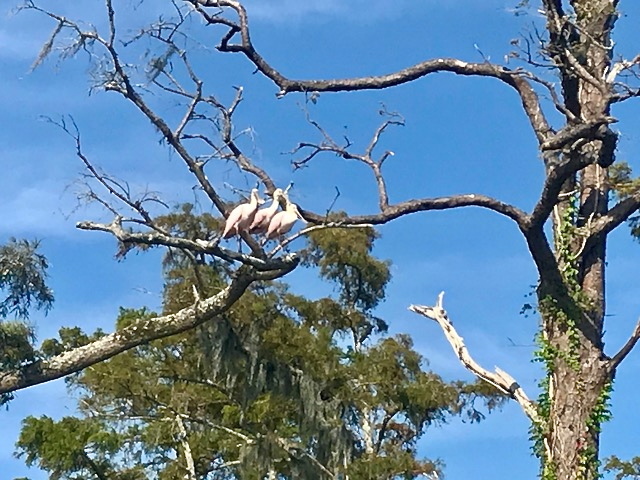 A neighbor, Nita Coleman, was on her boat on the afternoon of 9/23/18 and noticed, and photographed, three birds in a tree which she later identified as Roseate Spoonbill. 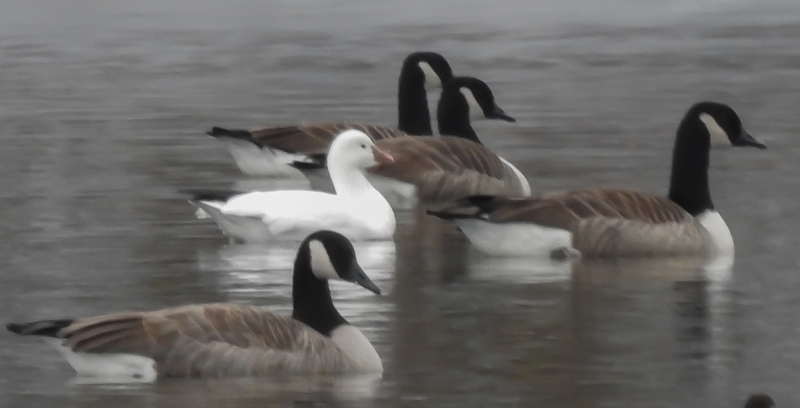 About 10 birds, mostly adult but two immature birds noted, resting in a field with a flock of Laughing Gulls. I also noted this gull in Perquimans County yesterday as Hurricane Florence approached. 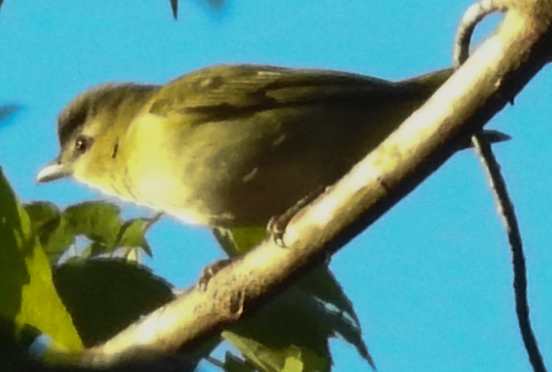 I observed this beautiful bird, which I had never seen before anywhere, on 3 separate occasions at our tube feeder. Intrigued, I was able to definitely identify him through a Google search using an Audobon link. Unfortunately, I was never able to capture a picture when he would make a brief appearance. Ironically, when traveling to Niagara Falls in mid May, we were pleasantly surprised to see a painting of the bird. 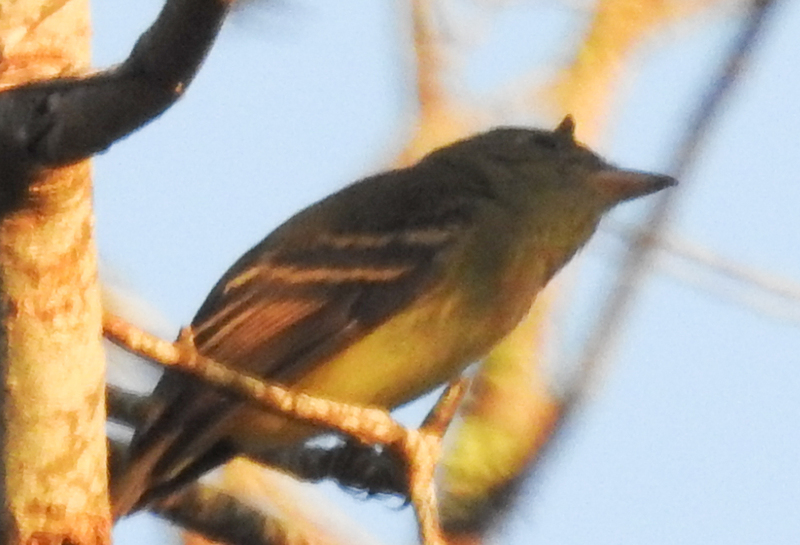 This fine specimen was appparently paying us a brief visit on its northern migration. 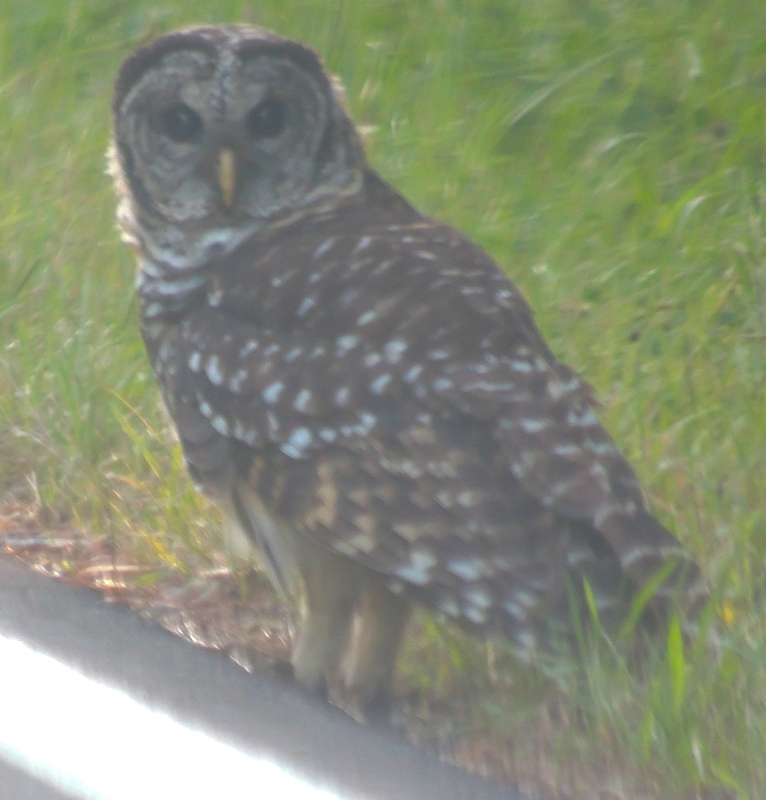 Saw a male near my bird feeder/bird bath area. He was in a small tree I have near both of them--he may have visited them but I only saw him in the tree. 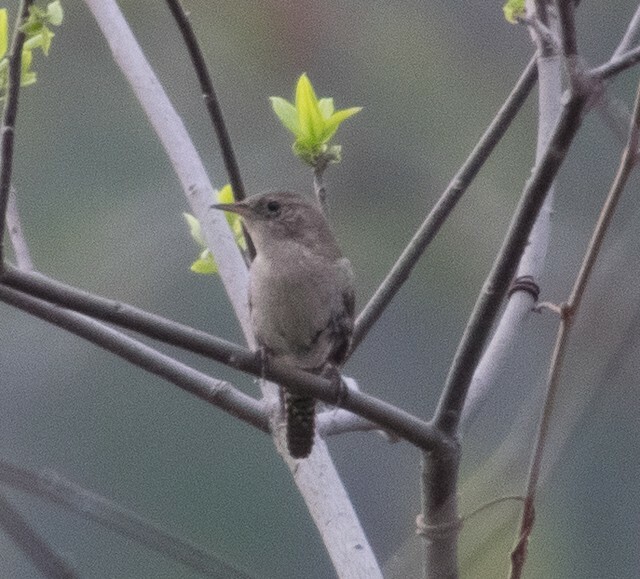 I have seen them in the past but it has been several years since I saw one around my feeder.